A show about the backstories of people who changed the world. Each episode is a mini historical biography filled with life lessons and actionable insights. New episodes drop every Monday and Wednesday. The Story is back for its seventh season! In this season, we are joined by our friend, Jeffrey Wright, to tell the amazing backstories of eight African American trailblazers who changed the world. The Story is back for its seventh season! In this season, we are joined by our friend, Jeffrey Wright, to tell the amazing backstories of eight African American trailblazers who changed the world. You’ll get to walk a mile in their shoes and their identity is kept secret until the climax. You’ll hear tales of discovery, learn how empires rose and fell, and stand beside innovators as they faced their tragedies and turned them into triumphs. You won’t want to miss a second of this season, so be sure head over to mission.org/thestory and subscribe! 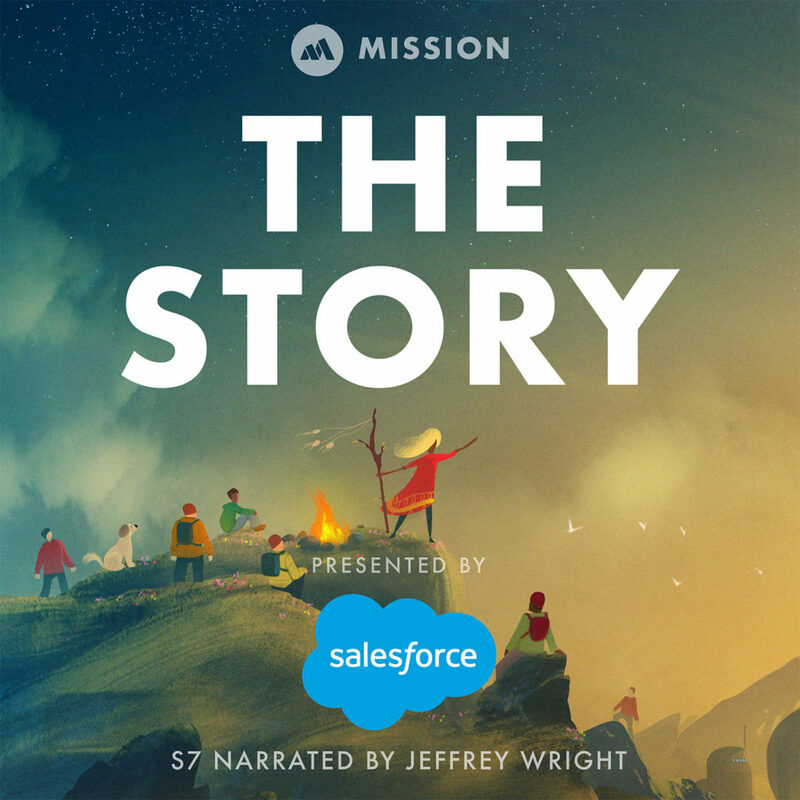 The Story and all of our podcasts are created with love by our team at Mission.org. We own and operate a network of podcasts and a brand story studio designed to accelerate learning. Our clients include companies like Salesforce, Twilio, and Katerra who work with us because we produce results. To learn more and get our case studies, check out Mission.org/Studios. If you’re tired of media and news that promotes fear, uncertainty, and doubt and want an antidote, you’ll want to subscribe to our daily newsletter at Mission.org. You’ll get a mission-driven newsletter that will help you start your morning off right. Thank you again to our presenting sponsor Salesforce. Learn more about how they are creating a workplace where everyone can be their full, authentic selves by empowering employee resource groups to lead the way as Equality trailblazers.